Balloons give some of the amazing ways to decorate your home utility items in one or the other way. We are here with some of the lucrative ideas to use balloon and showcase your creativity to the people around you. Here we go. 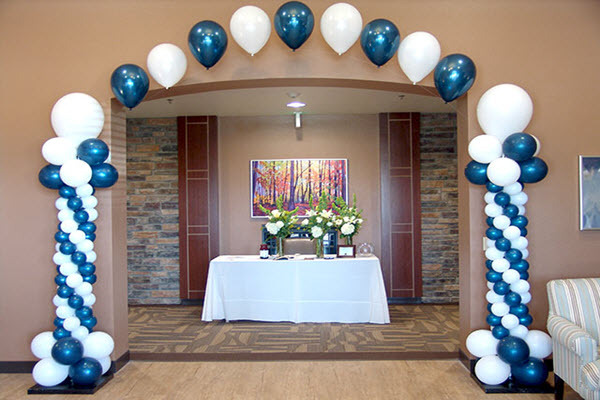 The first and the most effective ways to use balloon is to use it as a glass identifier. When you are going out with your friends or family members for a lunch or dinner party, you often get confused with your drinking glass. There are high chances of your soft drink glass getting mixed with other drinks. To be on the safer side of the road, you can carry a balloon when you go out and cover your drinking class with that balloon. This will not only make your drinking glass look different but also would give your glass a unique look. Decorate your computer mouse and give your system a unique look. You can decorate your mouse using a balloon. The first step that you need to do is to open your mouse cover and wrap the colorful balloon over it. Put the mouse back and watch your colorful mouse matching your personality and looks. Yes, you read it right. We can make a colorful lamp shade using a balloon, a bundle of colorful yarn or string, and some wallpaper glue. This kind of lamp shades is available in the market as well but you can really make them at home. What you need to do is to inflate a balloon. In the second step, pour wallpaper paste in a jar and yarn step by step so that entire portion of the yarn contains glue that can easily get stick to the inflated balloon. Now take one end of this yarn and start wrapping it in the criss-cross pattern over the balloon. Once done, let the yarn dry. After 3-4 hours, cut a large-sized hole to remove the balloon from the string. Now insert a bulb or some glowing stick inside the cut portion and attach it to the place where you want to hang this beautiful piece of your creation. Yes, you can give your boring chair a completely new look. You can roll some colorful balloon over the legs of the chairs that you want to decorate. Cover all four legs to give your chairs a brightened look and feel. You can take a pipe, or some cold drink bottle and cut them to the shape of a bottleneck. Now cover the top portion with a balloon. For this, just slide a balloon over the neck and tighten it up using an electrical tape. Now you can use some pebbles, stones, or marble pieces to make bullets for your gun. Your all-time toy gun is ready to strike the target. Above are some of the awesome ways to use balloons and decorate things around you beautifully.